Feroze Varun Gandhi commonly known as Varun Gandhi is an Indian politician and currently a member of Lok Sabha representing Sultanpur constituency of Uttar Pradesh. 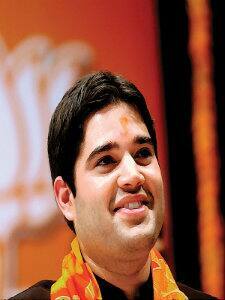 Varun Gandhi belongs to the Nehru-Gandhi family and he is a member of the Bharatiya Janata Party (BJP). IN 2012, he was inducted in Rajnath Singhs team as the National General Secretary and he became the youngest General Secretary in the history of BJP. 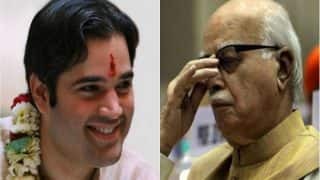 He was also the first politician to support the Anti-Corruption Movement of Anna Hazare.Born on 13th March 1980 in Delhi, Varun Gandhi belongs to the Nehru-Gandhi family. His parents were Sanjay Gandhi and Maneka Gandhi and he is the great grandson of Indias first Prime Minister Jawaharlal Nehru and grandson of former Prime Minister Indira Gandhi. Indira Gandhi had returned to power only days before Varun was born and she was very fond of him. He was only three months old in June 1980 when his father died in a plane crash. Varun Gandhi was four years old when his grandmother Indira Gandhi was assassinated on 31st October 1984. He did his schooling from Rishi Valley School and British School in New Delhi. He was also elected as the secretary of the student council when he was in the school. Later he did his BSc in Economics from the London School of Economics through University of London External System, a distance-learning provision. Varun Gandhis first introduction to politics was at the age of 19 when he was seen at his mothers 1999 election campaigns at the Pilibhit constituency. He then campaigned the entire election for his mother. He along with his mother joined BJP in 2004 and he campaigned for the party in 2004 elections and covered 40 constituencies. 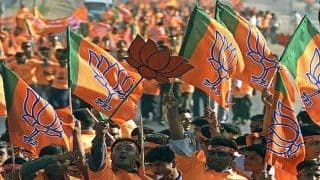 He contested his first election from his mothers constituency of Pilibhit in 2009 General Elections. 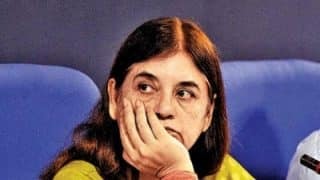 Maneka Gandhi contested from the neighboring Aonla constituency. He won the seat with a margin of 2,81,501 votes and the security deposits of all other candidates were forfeited. He was appointed as the national general secretary of BJP in 2013 by Rajnath Singh. He became the youngest ever general secretary of the party. He was made in-charge of the BJPs affairs in West Bengal. In August 2013, as per the newspapers record he was the only MP in the country to spend the entire MP Local Area Development Fund before the stipulated time. In 2013, he denounced Rahul Gandhi for the outburst against controversial ordinance stating that it was an insult for the Prime Minister of the country and if the Prime Minister had any dignity left, he must resign from the post immediately after returning to the country. 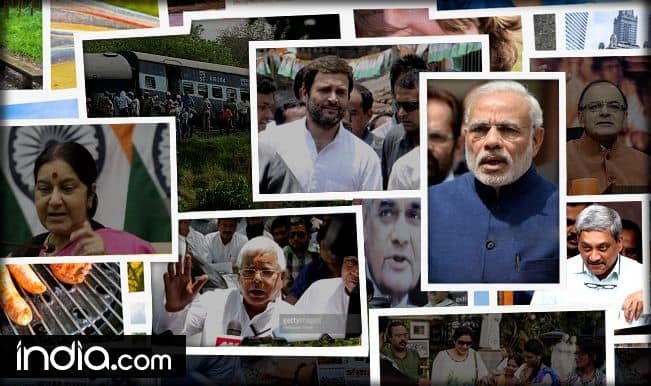 However, in March 2014 he stated that he doesnt hold any ill-will against Rahul Gandhi and he wont campaign against him in the 2014 Lok Sabha elections. 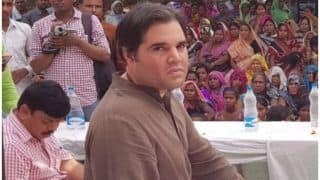 Varun Gandhi contested the 2014 elections from Sultanpur and he kickstarted his election campaign with an emotional speech in Kadipur and said that he has come to Sultanpur to fulfill the dreams of his father. 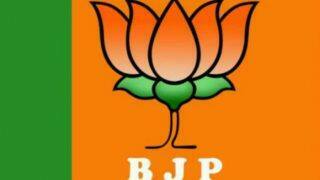 He won the 2014 general elections by defeating Amita Singh for Sultanpur constituency. In 2015, he took the pledge of donating his entire MP salary by distributing the cheque of Rs 1 Lakh to the farmer families in Uttar Pradesh who have been forced to end their lives due to crisis. He has visited over 16 districts distributing cheques worth Rs 1 Lakh and by dog this he is trying to increase the sensitivity towards the families suffering in the state of Uttar Pradesh. 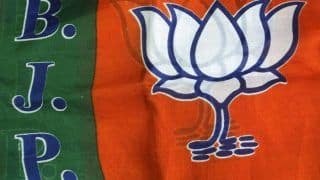 In the upcoming 2017 elections, Varun Gandhi is considered as one of the major players for BJP.Varun Gandhi is married to Yamini Roy and the couple has a daughter named Anasuyaa Gandhi. In August 2011, Varun Gandhi strongly supported Jan Lokpal Bill and after the government denied permission to Anna Hazare, he offered his official residence to Hazare to hold fast. 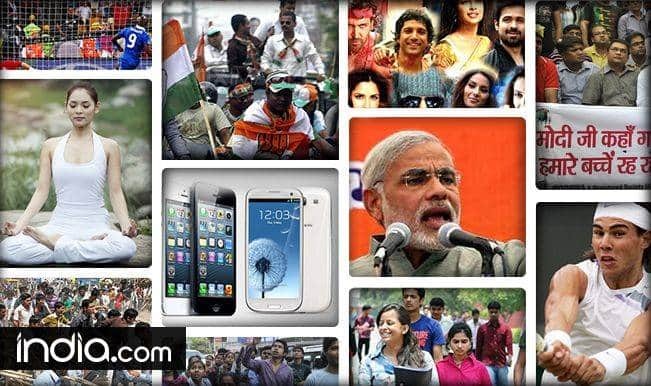 He also offered to table the Jan Lokpal Bill in Parliament and was the first politician to openly support the anti corruption movement by supporting Anna Hazare in Ramlila Maidan. 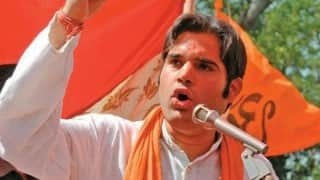 Varun Gandhi was in controversies and a case was registered for allegedly making a provocative speech about Muslims at Dalchand Mohalla area in Pilibhit. He was acquitted by the court on this matter. 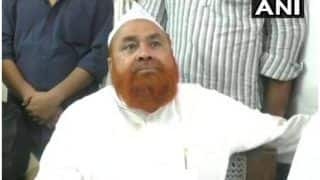 There was another hate speech case filed against him during the 2009 Lok Sabha campaign but the Pilibhit court acquitted him from the case in March 2013. Varun is also a columnist and he writes articles and policy papers for the countrys major newspapers and magazines covering 21 newspapers. He has also written a book called The Otherness of Self, a collection of poems he started to write at the age of 17 and completed by the age of 20. 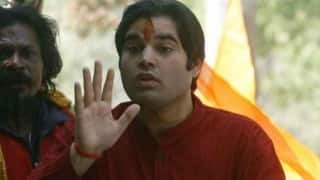 Varun Gandhi to Join Congress Party Before 2019 General Elections?